We all want to feel safe and secure. We have locks on our doors and windows at home, security guards and badge-only access in our office buildings, and seatbelts and air bags in our cars. But what about feeling safe online? Ours is a mobile society with more and more business and personal work done online. That means the risk of data breaches is even higher today than years ago. Cyber security is a national concern as hackers worldwide find new and different ways to infiltrate online data. It is defined as protecting computers, networks, programs, and data from unauthorized or unintended access, change, or destruction. 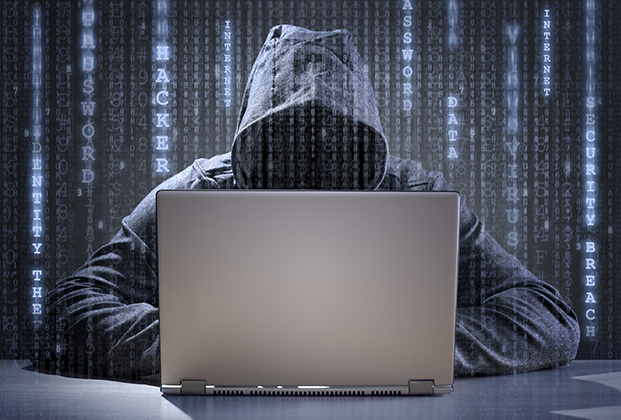 Many government officials see cyber attacks as significant threats to national security. Think about all the places where your personal information is stored. Financial institutions, credit card companies, government offices, hospitals and doctor offices, military records, and retail businesses, to name a few. Many of these computer systems share information with each other, creating an electronic highway of sorts. 1. Check your bank accounts online regularly. This way you’ll quickly discover if there’s been a breach to your personal account and can quickly alert the bank. If you don’t do online banking, consider it. That way you can monitor your account regularly and won’t have to wait until your monthly statement arrives to discover a problem with your account. 2. Update the privacy settings of your social media accounts (and those of your family members, especially children). Make sure you aren’t sharing too much personal information online and are only sharing it with people you know. Check the privacy settings of each account. Many social media platforms change settings often, so be sure to update your privacy settings just as often. Especially monitor privacy settings for children who use social media, and monitor what they’re posting. 3. Use strong passwords for all online accounts, including email. Passwords like “password” or “mycheckingaccount” are easy pickings for online hackers because they can be easily guessed or decoded. Use strong passwords that contain symbols, upper and lower case letters, and numbers, like “4$CHk@cct”. It’s also a good idea to use a unique password for each account. 4. Keep computer and mobile software up to date. Software companies regularly release updates that cover bug fixes and improved security. Update your operating system software with each new release, and update browser software. Make sure your anti-virus software is the most current release. 5. Don’t open unfamiliar emails or click on suspicious attachments. They can launch a virus onto your computer. Be especially alert to “phishing” scams, where hackers send authentic-looking emails claiming to be from your bank or credit card company and request personal information to verify your account. Remember, financial institutions and credit card companies will never request such information via email. If this happens, don’t respond to the email. Instead, call your bank or credit card company to report the phishing attempt and verify there are no problems with your account. 6. Be aware of the risk for identity theft. 7. Use secure networks for more secure online activity. The free wifi at the local coffee shop may cost you more than you planned. Public networks and shared computers are often hotspots for data thieves. Instead, use these public networks for generic Internet browsing, and leave the private online activity (like banking) for later when you’re on a password-protected network. While data breaches are scary stuff, with vigilance you can reduce the risk of having your private information compromised on a local level.